Dozens of First Nations leaders are meeting this week to discuss a plan that could make them the next owners of the controversial Trans Mountain pipeline. 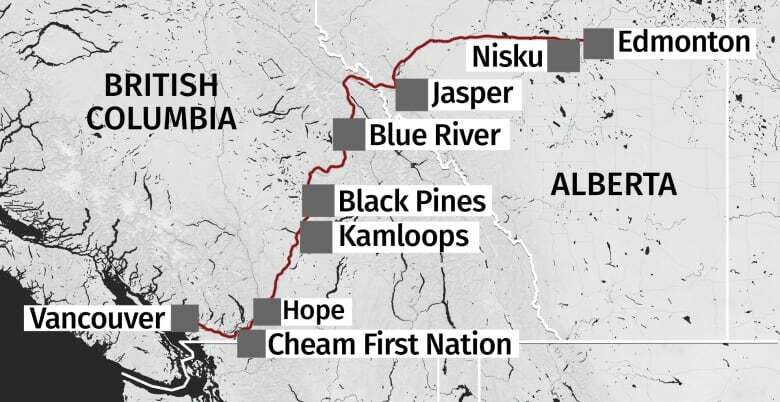 Indigenous leaders will debate Wednesday which financial model is ideal if they are able to purchase the pipeline project, which would boost the amount of oilsands bitumen shipped from Alberta to the B.C. coast. 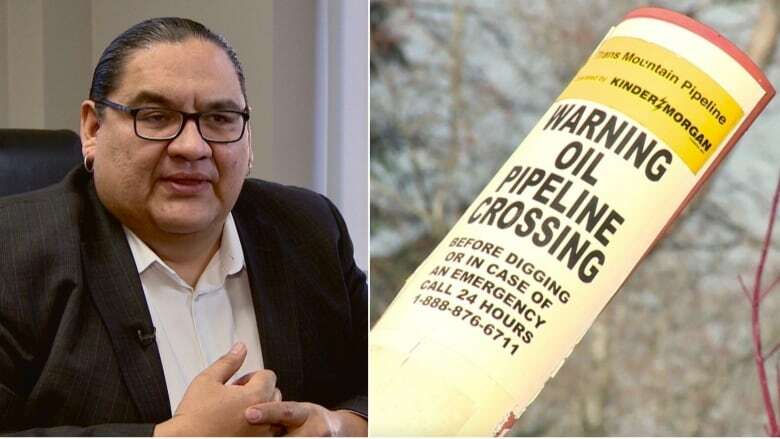 After a private "high level" meeting with the federal government was held in Calgary last month, the Indian Resource Council (IRC) is optimistic it will be able to present a proposal to Ottawa to acquire the pipeline project in the coming months. The IRC represents 134 First Nations that have oil and gas resources on their land. The leaders are meeting at the Grey Eagle Casino and Resort on the Tsuut'ina Nation outside Calgary. The proposed Trans Mountain expansion pipeline would ship oilsands crude from Edmonton to the Vancouver area for export. The federal government purchased the project for $4.5 billion from Kinder Morgan Canada last summer, but it doesn't want to be a long-term owner. The project is stalled after the Federal Court of Appeal ruled in late August there needed to be more consultation with First Nations. The National Energy Board was also instructed to explore the potential environmental impacts from increased marine shipping. The IRC says the majority of its members want to purchase the project and make the pipeline 100 per cent owned, operated and monitored by Indigenous people. "We all want a safe and proper environment; the environment is so key," said Stephen Buffalo, chief executive of the IRC. "But we can continue to still do some economic development and have that balance. And that's what we need to strive for — to find that balance." Along the pipeline route, some First Nations have signed benefit agreements to support the project, while others have resisted and tried to stop progress through protests and legal challenges. The IRC said it supports those First Nations in B.C. who want to protect their land and waterways, specifically the Musqueam, Squamish and Tsleil-Waututh, which have territory near the Burrard Inlet terminal. Those who oppose the project have concerns about a potential oil spill, including the impact on salmon and other marine life. However, the organization says efforts to oppose the project are also holding back the First Nations that support the pipeline and are counting on it for economic gain. Not every First Nation has lucrative land holdings or casinos to benefit from, said Buffalo. "Our job right now is to get the chiefs together and the leadership together to help make a consensus to ensure we're all on the same page. We're all looking for something to get out of poverty," he said. If Indigenous people own the project, there would be increased job and economic opportunities, in addition to more control over environmental monitoring, he said. "I'll be satisfied to know that there are no rail cars along the rivers and lakes. That there is no possibility of a car derailment," said Buffalo. One of the First Nations opposing the project doesn't seem to care much who owns the pipeline now or in the future because concerns with Trans Mountain remain. "It doesn't change the fact on the ground that the federal government has the responsibility to respect our rights and they haven't yet, and that's the standard that we set for ourselves," said Khelsilem, a Squamish Nation councillor and spokesperson. "The reality is, if they want to build this pipeline they have to come through our titled land. That is our land. They don't have the right to say anything about what happens on our territory just like we don't have the right to say what happens to theirs," he said. The IRC said First Nations in B.C., Alberta, and Saskatchewan are interested in purchasing the project and the group wants to see if Indigenous people in other provinces want to be involved. Some Indigenous leaders have already said they want to buy the pipeline. "First Nations should be the owners of Trans Mountain. All of that resource is coming out of our territory," said Archie Waquan, chief of the Mikisew Cree First Nation, located north of Fort McMurray in northern Alberta, in an interview with CBC News in November. "I'd like to see First Nations that are not even close to the pipeline to be owners so they can benefit from it." The Whispering Pines First Nation near Kamloops, B.C., has also expressed its interest in an ownership stake. In an emailed statement, a spokesperson for federal finance minister Bill Morneau said the government is focused on moving forward with the project. "With that in mind, we welcome the interest of Indigenous groups in the future ownership of the project and will continue these discussions at the appropriate time," said the spokesperson. Indigenous involvement in the oil and gas sector has grown in recent decades as First Nations sign benefit agreements with industry, in addition to a number of Indigenous-owned businesses providing services to the oilpatch. Some First Nations point to the East Tank Farm oil storage project in the oilsands region as an example of an Indigenous ownership deal that has benefited the local community. Calgary-based Suncor sold a 49 per cent stake in the project to the Fort McKay First Nation and the Mikisew Cree First Nation for $503 million in 2017. The First Nations borrowed money to cover the cost. Four different ownership models will be considered by Indigenous leaders at a conference organized by the IRC on Wednesday. At this point, the IRC said some of the details are under non-disclosure agreements and can't be shared publicly. 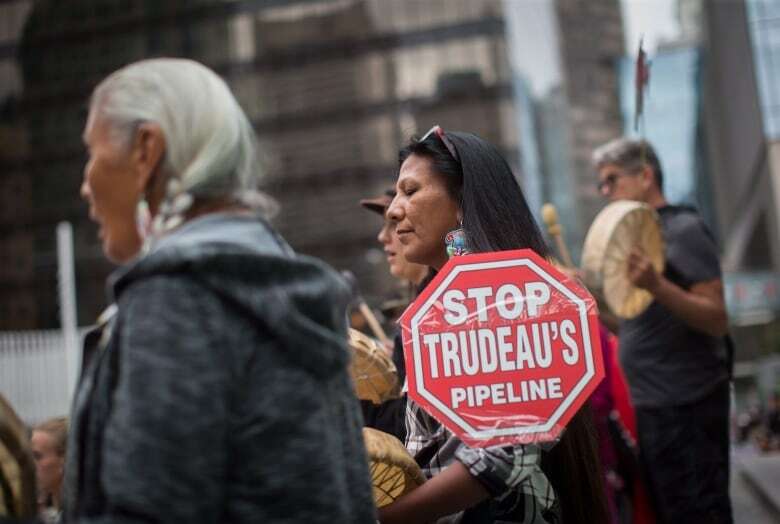 While there are several obstacles to overcome for Indigenous groups to own the proposed pipeline, the significance of such a deal can't be understated, according to Ken Coates, a University of Saskatchewan professor who studies Aboriginal rights. "It would be extremely difficult to pull off because you have to find ways of getting all the members on board, you have to find ways to raise the capital, you have to find the management system that works," he said, among other challenges. However, Coates said he is delighted the IRC is looking so closely into purchasing the pipeline because it's a sign of confidence of Indigenous business people and the determination of some First Nations to have greater control of oil and gas projects. "It changes the game on a number of levels," he said. "From their point of view this is not just a pipeline investment. This is an investment in the future of their community. Is it possible? Absolutely possible."